On Monday 29th June Alan Wolstencroft Trustee of The Westminster Group Foundation and Joanna Fowler Director of Westminster Aviation Security Services visited Chacombe CEVA Primary Academy to give a short presentation to the children regarding the Calvary School in Lungi Sierra Leone. The presentation was to help the children understand the difficulties families face in schooling children in Sierra Leone, especially after the EBOLA crisis, and the differences between their lives and life in Sierra Leone. 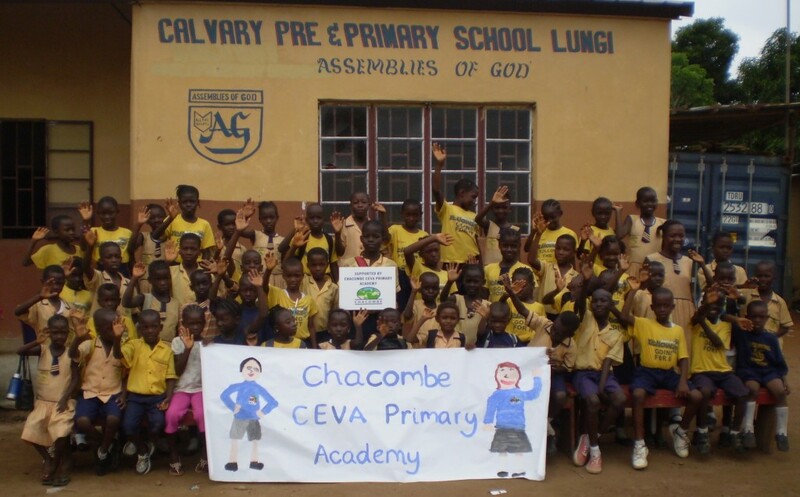 Chacombe CEVA Primary School have very kindly chosen to support the school with funds raised by the children from school events and recently donated their old tables and chairs which were shipped out to Sierra Leone by The Westminster Group Foundation in June and taken to the Calvary School. This donation has improved conditions immeasurably and the children of Calvary School sent a video message to the children and teachers of Chacombe School expressing their gratitude for improving their school. Chacombe school are now donating a kit bag for each child in the Calvary school and filling each bag with small items for the children, notebooks, pencils and an individual letter. They are also putting a collection box at the school for any second hand shoes, plimsolls and football boots to be donated to Calvary School. Communications between the schools will continue via The Westminster Group Foundation so not only will this help the children in Sierra Leone but it will also benefit the pupils at Chacombe school and help them understand the differences in their cultures and living standards. 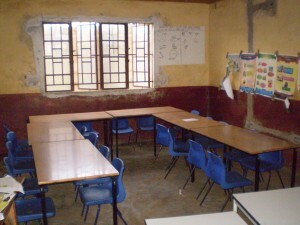 The Calvary School has subsequently donated their old wooden benches and tables to a neighbouring school in Sierra Leone where the children had nothing at all to sit on. Such a simple initiative that has improved two schools and means so much to so many and their gratitude was expressed in writing by their head teacher Abibatu.